Visit some of the most popular attractions of Turkey on this full-day tour from Belek. 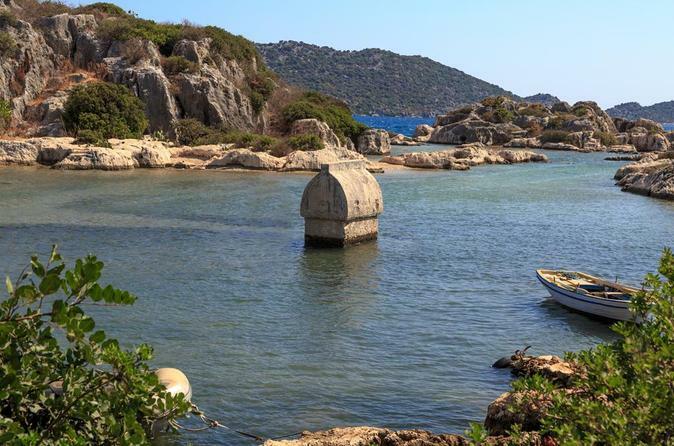 Discover the ruins of the sunken city of Kekova during a glass-bottom boat tour, with time for a Mediterranean swim; explore the rock-cut tombs of the Lycian necropolis in Myra; and visit the Church of St. Nicholas in Demre, said to contain the tomb of its namesake saint. Get out of the city and enjoy a relaxing day on the Manavgat River with this full-day boat trip. 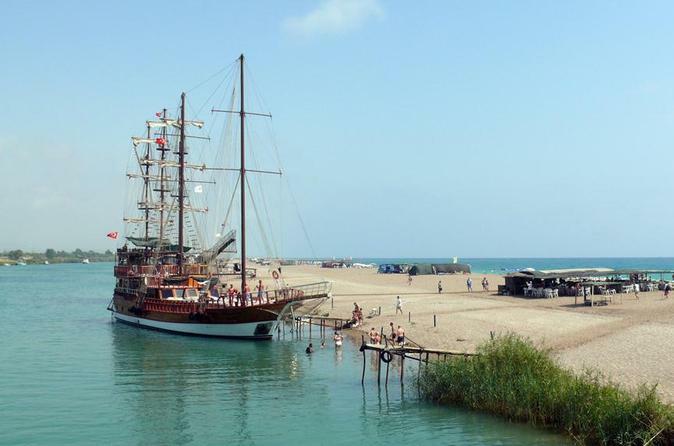 Hop on board a 2-deck ship and head down the Manavgat river, stopping at the delta for a swimming and sunbathing break. Feast on a delicious lunch of fresh fish or grilled chicken, vegetables, and fruit. Then sail back up the river and embark on a shopping spree at the Grand Bazaar, where peddlers sell everything from fruit to shoes. Make a stop at the spectacular Manavgat waterfall to enjoy the view and sip a coffee or tea before the guide drops you back off at your hotel. 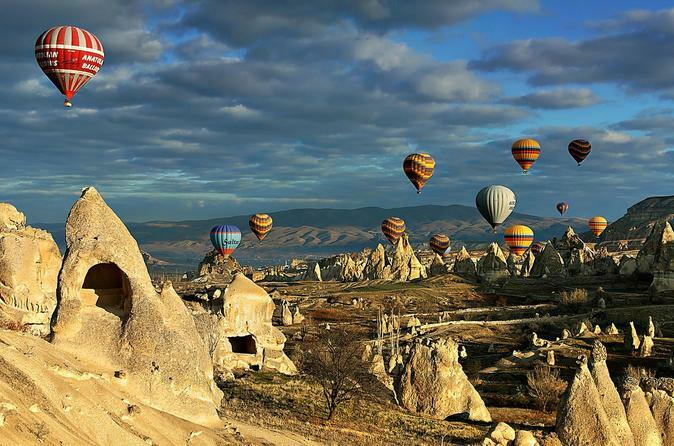 Cappadocia is an amazing wonderland in the middle of Turkey. Being world famous for the incredible rock formations it is really worth a visit. Join a 2 day trip from Antalya to discover the most beautiful valleys of Cappadocia, to explore the underground city, rock houses and rock-cut churches. Spend two unforgettable days in Cappadocia and you will definitely wish to come back there again. Experience a traditional Turkish bath while you visit Belek. This package that takes approximately 2.5 hours included pick up service from the hotels in Belek and Serik. Visit a places of ancient Myra and Demre where real Saint Nicholas used to live and work. 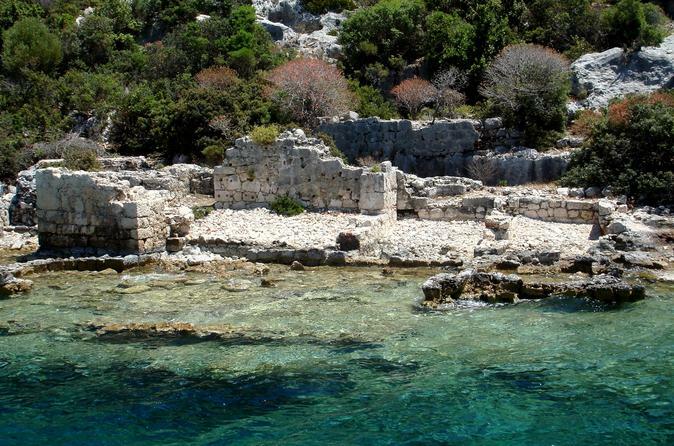 On this trip with lunch included in a price, you will bust all the myths related to the Saint Nicholas and we will go for a cruise on the sea to sunken Atlantida – Kekova Island. A trip to 1 of the biggest oceanarium in Europe and visiting the city of Antalya. 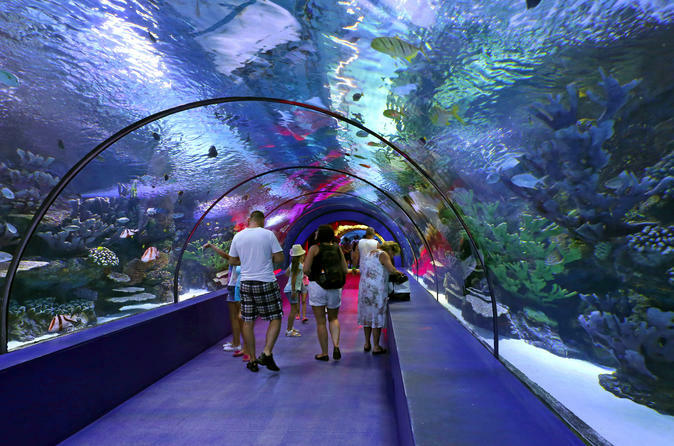 Walk in the water tunnel full of sharks and other fish. See beautifull Antalya cliffs and waterfalls. Visit the medieval old town of Antalya with proffesional guide.1-day trip with a lunch. See the grand Gloria Aspendos Arena with over 120 dancers performing. 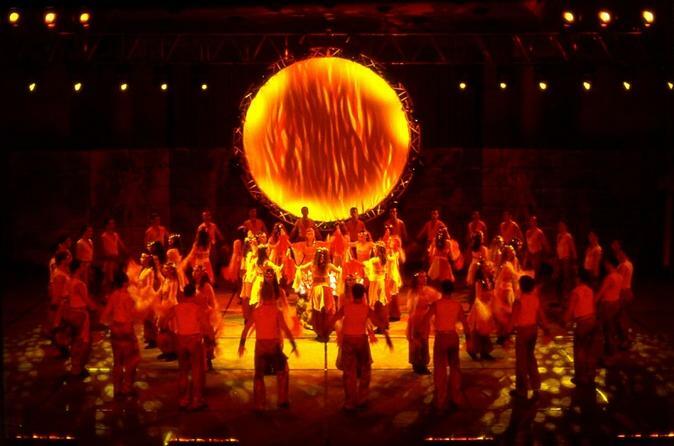 Here you will see the Fire of Anatolia arranged dance that is a befitting reply to the Riverdance. It is a must see, in order to learn more about the culture of Turkey and recognize its beauty. 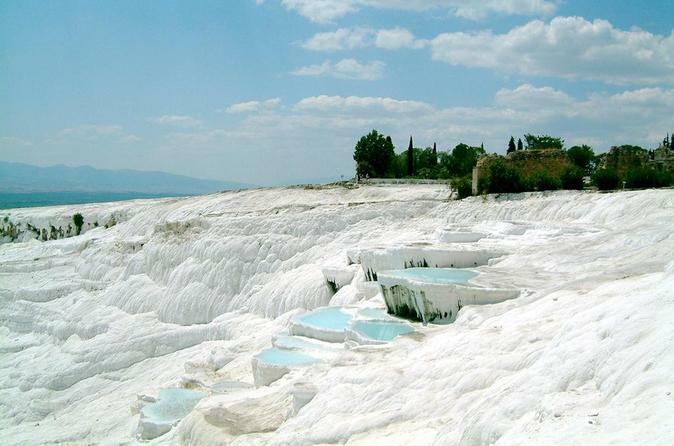 Visit miracle of the world – cotton castle of Pamukkale - white terraces, down of which the thermal water is flooding. Bathe in a thermal antique Cleopatra’s pool and visit ancient Roman city – Hierapolis with theatre, temples and huge necropolis. All-day trip with two meals included in the price. Pamukkale, also known as cotton castle is a marvelous natural wonder that you should see during your visit to Turkey. 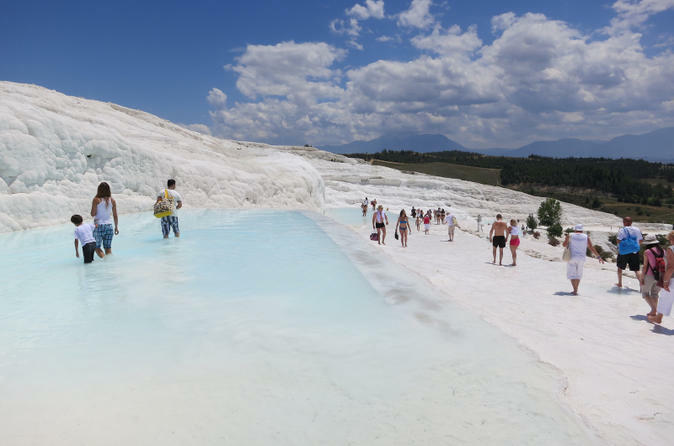 Join a 2 day trip from Belek to see the white travertines, swim in the hot springs and discover ruins of an ancient city Hierapolis. 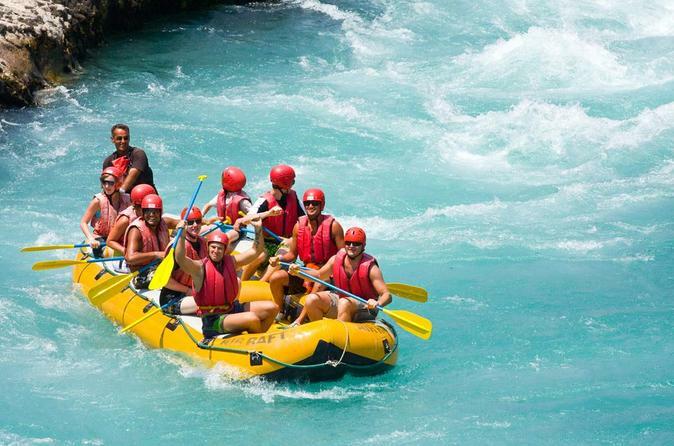 Rafting is a sport that everyone should try once in their lifetime. 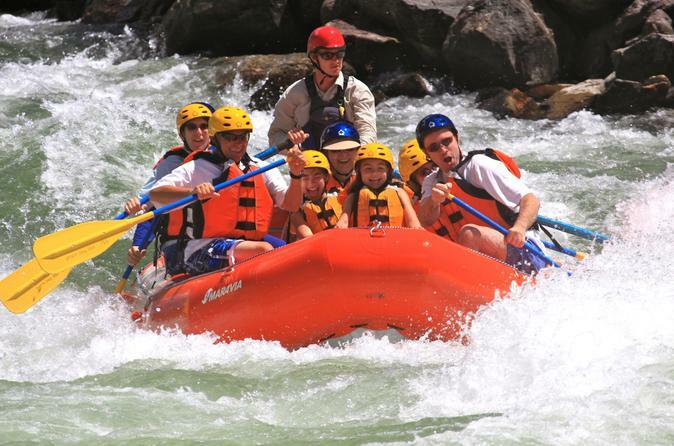 Recreational rafting down the mountain river with different levels of difficulty. No experience needed. You will swim downstream on dinghies with an experienced instructor on 8 miles (13km) distance overcoming numerous of cascades. During the raft you should look forward to animations and a lunch after the raft. You are fully insured. 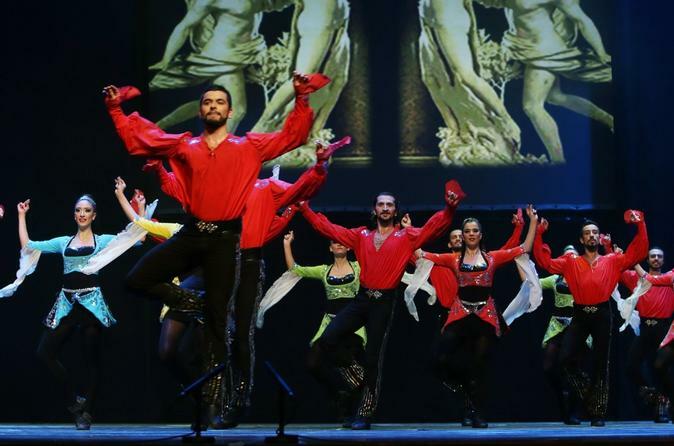 The Fire of Anatolia Show, a 120-member dance group, gives concerts all over the world and anchors its show in Aspendos. The performance shows the traditions of Turkey, its history and mythical creatures through live music and group dancing. If you like music, dance, color, and fire, you will surely enjoy the explosive performances during this incredible production. Discover the beautiful valleys of Cappadocia. Visit the infamous rock cut houses and churches. Explore surrounding sites including Mevlana museum in Konya and the pottery town of Avanos. View the amazing rocky landscape of Cappadocia and its unique chimneys.